Optima Care Optima Care provides residential and supported living services for school leavers and adults, through to specialist elder age and end of life care. Optima Care provides Transition services for Young People with learning disabilities, some of which live with complex needs and present with behaviours that challenge. The Transition Service at Eastry has a number of vacancies for Transition Team Leaders who are competent in supporting individuals to reach their full potential and lead fulfilled lives. 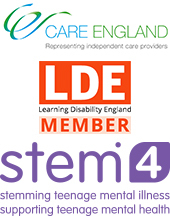 Candidates will need to demonstrate a pro-active style of support which embraces the diverse needs of individuals whilst promoting their independence and developing their daily living skills. To have experience and the ability to lead a team to ensure the smooth running of the service. To take a positive approach to behaviour management, be able to recognise triggers, adopt a multi-agency approach to working and implement agreed preventative strategies to reduce the risk of escalated behaviours. The role will be challenging and candidates will be required to work shifts which will include mornings, evenings, weekends and bank holidays. Be able to undertake “sleep in” duties when required. In return successful applicants will receive a competitive rate of pay, a comprehensive induction programme which will include specialist training, opportunities for career progression and obtaining formal qualifications with on-going management support. The people we support reach their full potential, progressing in their rehabilitation journey." Our overall aim is to promote a culture of hope and recovery within a framework of positive risk management." Joe now attends a course at college 3 days a week and staff are supporting him in his relationship with his current girlfriend." Measurable outcomes are a standard feature across all of our supported living and residential services." Our highly accomplished Nursing and Care team have a proven track record of supporting individuals affected by dementia and issues related to end of life care." I love working here", "…best job I’ve ever had", "if you have an issue you can speak to someone." Moira collaborated with the team to develop a recovery star and plan and was able to take ownership of her recovery steps." I joined as a carer, did all the mandatory courses and NVQ Level 2. I have now progressed to senior carer and will be doing Level 3 in April. My confidence levels are now very high." 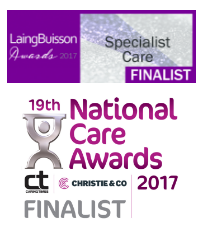 We are fully committed to ensuring quality outcomes for the people we support, delivered by our highly motivated and trained staff teams." The chemistry at Spencer Road is just right. Everyone works together and supports each other when needed. I am proud to work here …"
Optima Care is an expanding healthcare provider where innovation and quality for our staff and those we support form the core philosophy." © 2015 Optima Care Ltd. All Rights Reserved | Registered in England No. 02768075.